The prevailing wisdom in Washington is that an election year is a terrible time to pass legislation. But don’t tell that to Rep. Ed Markey (D-Mass. ), who is determined to move through Congress the Do Not Track Kids Act he sponsored with Rep. Joe Barton (R-Texas), Markey’s co-chair on the Bipartisan Congressional Privacy Caucus. Advertisers would do well to pay attention. Markey has a solid reputation for getting what he wants, even in an election year. And unlike some issues, protecting children’s privacy has broad appeal on both sides of the aisle. DNT Kids already has 30 co-sponsors. DNT Kids would make it a lot harder for marketers to use the Internet or mobile devices to reach children and teens. It extends to teens’ many privacy protections codified in the Children’s Online Privacy Protection Act (Coppa) applying to children 13 and under. DNT Kids would also prohibit behavioral targeting of ads to both kids and teens and require websites and apps to have an eraser button so kids and teens can delete content about themselves. To address the concerns of Markey and other legislators, advertisers are working to develop self-regulatory measures. Markey isn’t convinced that will do the trick. One of the savviest marketers on Capitol Hill, Markey not only knows how to publicize a bill, but he also provides the kind of quotes that virtually guarantee he’ll get picked up by the press, like when he calls digital media a “21st-century playground for kids.” Markey also knows how to bring star power to a press event, whether it’s inviting Arthur the Aardvark and Big Bird to promote funding for public broadcasting or, as he did earlier this month, enlisting entertainer Nick Cannon to publicize the DNT Kids Act. 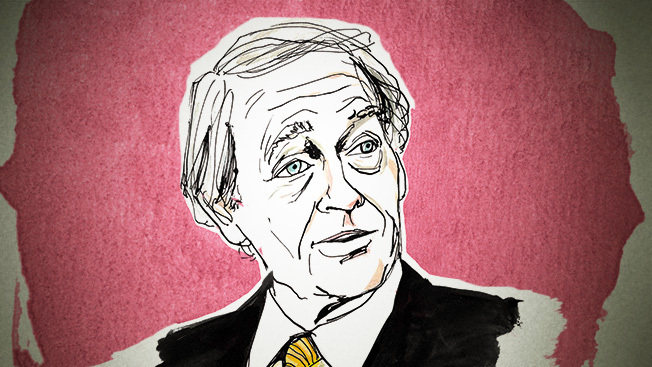 Markey has a long track record when it comes to protecting children. In 1990, he was one of the authors of the Children’s Television Act, which restricted how much advertising could air during children’s programming. And in 1996, the congressman helped pass sweeping telecommunications legislation that included the V-chip, the name he coined for the technology that gives parents the ability to block certain TV programs. While Markey’s involvement in legislation affecting children spans more than two decades, his awareness of unfair and deceptive marketing to kids actually dates back to the 1950s and his days as a Cub Scout when his troop sat in the studio audience of the Big Brother Bob Emery Show, a children’s TV program in Boston. It was there Markey first discovered that children are an easy target.